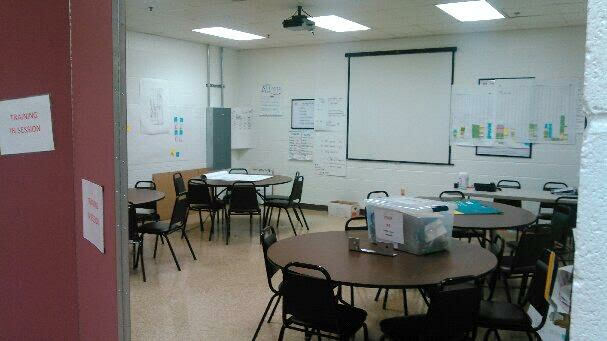 Converting unused space into a training session room is as easy as 1…2…3….with Screenflex Portable Room Dividers. Create a training room in underutilized space by simply rolling a room divider into place, extending the accordion style panels to create a wall to divide the space. 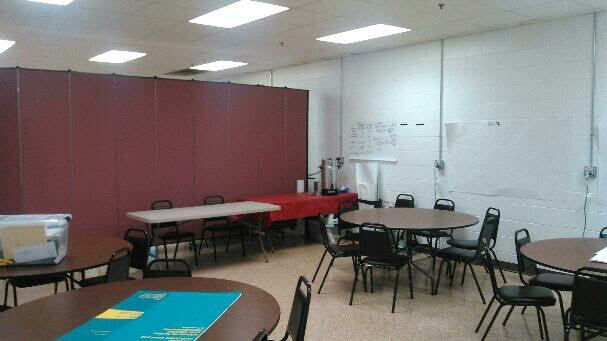 Here the panels separate a large room into an area for training from the dining area. The attendees can accomplish their goals all in one space. 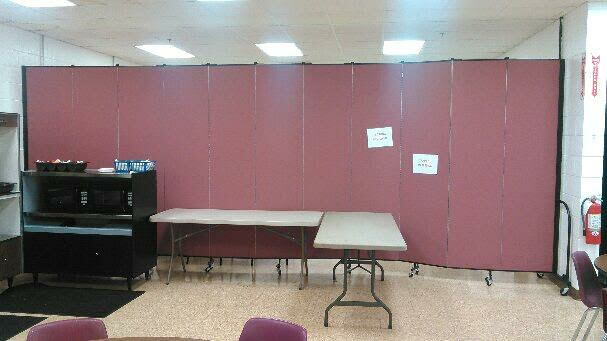 Screenflex portable room dividers are constructed with a cardboard honeycomb core surrounded by multiple layers of insulation to provide sound absorption qualities. Choose from our 38 colors and 36 sizes to create the best room divider for your space.